It's always nice to see writing from 33 1/3 authors pop up elsewhere. 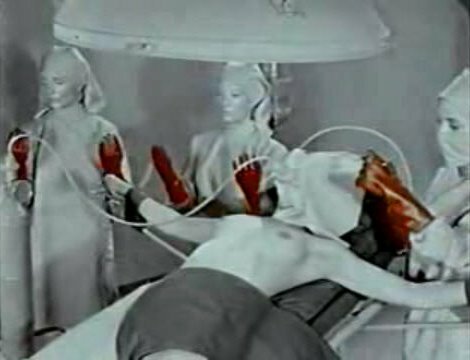 David Smay, author of Tom Waits' Swordfishtrombones, is doing a series of pieces on early sixties horror films for hilowbrow.com. Did you know that Psycho, Peeping Tom, Black Sunday and Eyes Without a Face all came out in 1960 alone? Here's an excerpt of the first installment, and a link to the full piece. "In 1960 alone, Psycho, Peeping Tom, Black Sunday, and Eyes Without a Face played in theaters. Yet that clutch of five-star masterpieces only represents a fraction of that year’s important work which also saw the Japanese vision of hell, Jigoku, two Hammer horrors in The Brides of Dracula and Two Faces of Dr. Jeckyll, Roger Corman’s first gothic, The Fall of the House of Usher as well as his cult cheapie Little Shop of Horrors, Roger Vadim’s Blood and Roses, and Village of the Damned. There was really no way to see this happening as it occurred. Psycho dominated both the box office and the mainstream press, and the avid and active horror fandom of the time was too busy looking backward in a happy wallowing glut of old horror movies on television. Even as late as the ’80s with Stephen King’s Danse Macabre and the ’90s with David Skaal’s The Horror Show that early 1960s era was seen as a period of horror quatschification, the uncanny cozily commodified by “Monster Mash” and Famous Monsters of Filmland, horror hosts like Ghoulardi and model kits of The Mummy. Smay will be doing about two installments a week covering movies like The Innocents, NIght Tide, Blood and Roses, Burn, Witch Burn (based on Fritz Leiber's great Conjure Wife) and others.